As I stated at the end of Part 1 the next step was to get the video from VHS tape and on to my main desktop computer. 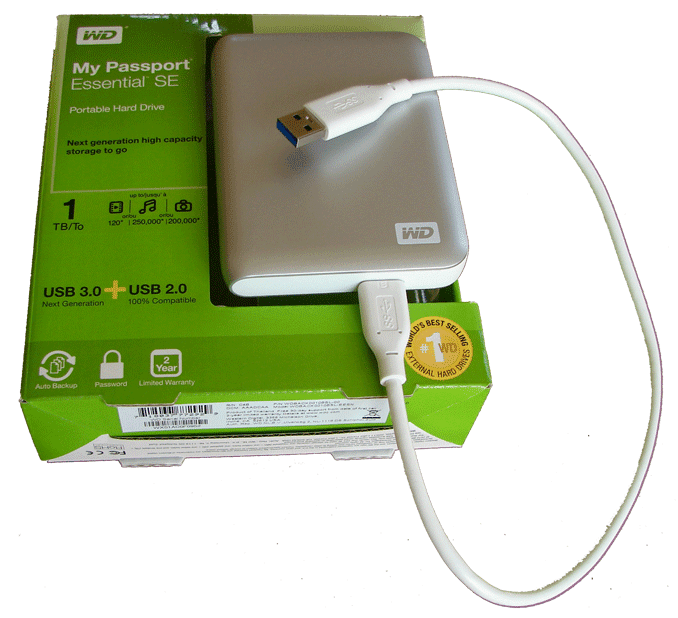 I chose the desktop PC over my laptop as the hard disk on the laptop could not cope with the 100’s of Gb storage that would be required for my prefered archiving method. But first I need a device to convert the output of the S-VHS VCR from analogue to digital before it reaches my PC. 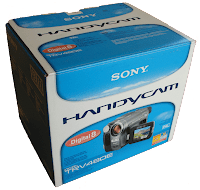 There are lots of cheap analogue to digital converters on the market for capturing video to PC, however after reading the forums most people recommended a mid range device manufactured by Canopus. I bought the ADVC-55 model (again from eBay). So I now have all the hardware, and I will use the Adobe Premiere Elements software to capture the video into a file on my PC. 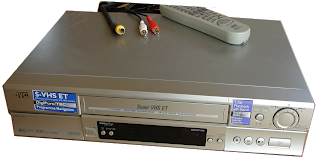 Connectivity: The S-VHS VCR connects to the Canopus via the S-Video connector and the separate audio connectors (i.e. the red/white RCA type connectors). 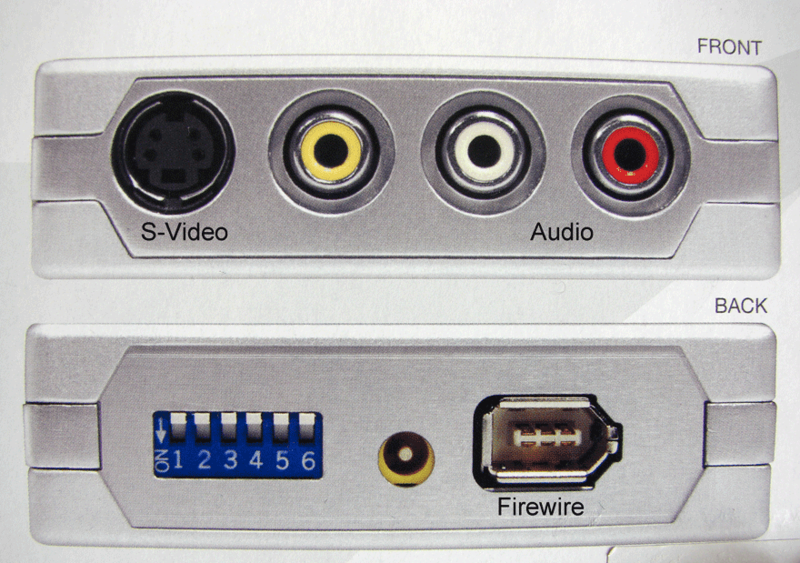 The Canopus then connects to the PC via a Firewire or iLINK lead (IEEE 1394 Interface), most modern desktop PC’s have a Firewire port, if not an expansion card can be bought quite cheaply. You can also buy them for laptops. Before continuing, just to clarify why I chose the video capture method using a PC rather than the VCR to DVD Recorder method. Both methods have advantages and disadvantages, but my requirement was to ensure that a high quality archive was possible. This is a similar decision that you would apply to photo archiving, where you scan and archive to a 600-1200 bit tiff file, but use a lower resolution jpeg file after repairing which is then used for viewing, etc. Briefly then, my S-VHS player takes care of the vagaries of the magnetic tape; the Canopus provides the DV codec technology (which arguably gives the industry’s best picture-quality preservation during the analog/DV conversion process); and the computer software (Adobe Premiere Elements) captures the DV video in a AVI file format ready for editing. I converted 6 VHS tapes of varying size and ended up with 149Gb of AVI files. This original data is invaluable, it is uncompressed and best quality. As soon as you put it on DVD’s it will be compressed and hence lose some of its quality. If you ever wanted to re-create or produce differing DVD’s then it is best to work from this original uncompressed data. Each VHS tape I converted produced a very large unmanageable file, for every hour of video on the VHS tape you get about 12Gb of data. One of my files was 32Gb. You really need to chop this into manageable chunks – I split my files into 4 to 7 minute segments based on suitable scene changes. For this I used a program called VirtualDub – it is a free program and has lots of features that you will not use, but I found it the easiest for splitting the file into manageable chunks. Leave all VirtualDub settings alone (nice guide here), open the AVI file, mark the in and out points ensuring you mark the keyframes, set the Video Menu to “Direct Stream Copy” (do same on Audio Menu), then on File Menu “Save As” AVI. This web site WeetHet also has some good guides). Good Practice – Always cut the video at Keyframes to avoid problems. 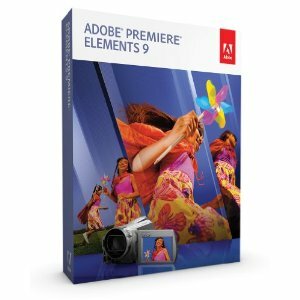 I now used Adobe Premiere Elements to make about 1 hour long DVD files that were saved to my PC hard drive – After editing your video, apply the “Disc Menu” that you want, then move to “Share” – select .. To Personal Computer – Choose the MPEG option (this file can then be used to play on a PC or burn to DVD). Make sure you select preset PAL DVD Standard for UK or NTSC DVD Standard for N.America. Then Save. On my PC hard drive I save the original cut AVI files in a VIDEO ARCHIVE directory, and the DVD files in a FAMILY DVD directory. I have also purchased a 1Tb (1000Gb) portable hard drive and copied both these directories to it. 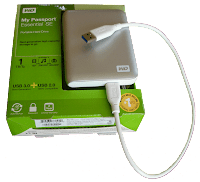 The passport size portable drive allows me to play files on the equipment of other family members, also to give them any files they may want. The original AVI files (now cut into manageable chunks) give the best quality reproduction when played, however they are not playable on some TV’s, DVD players and cinema systems. Most PC media players like “Windows Media Player” or “CyberLink PowerDVD” should play these AVI files ok. When the original AVI files are played on a PC you will notice overscanning lines at the top and bottom of the picture. These lines are not faults but the way that information is stored on VHS tapes. When VHS tapes are played via a VCR to the TV, the TV ignores several lines at the top and bottom of the screen, so you don’t see them as interferrence, BUT you will see them on a computer. You may also see black lines at the left and right sides of the PC player, this is also due to the way info is stored on VHS systems. You will not see any overscanning or black lines on DVD’s, this is because video programmes (like Adobe Premiere Elements) that produce the DVD’s remove them by cropping the visible video picture, the down side of DVD’s is that the VOB/MPEG-2 file structure is lossy so quality is always compromised. I have not mentioned my Hi8 tapes yet! In the end I resorted to buying another camcorder (yes from eBay). 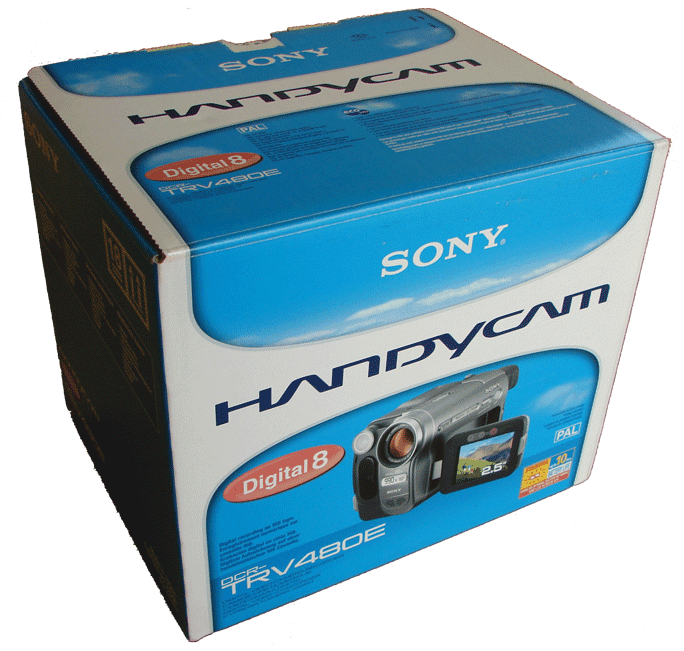 I purchased a Sony DCR-TRV480E Digital8 camcorder which has the capability to play back the older Hi8 tapes. This camcorder has a Firewire out connector so I didn’t need the Canopus for this convertion. There are lots of problems with converting old video tapes and there many different ways of solving the problems, some very expensive! I have just scraped the surface, this is how I overcame my problems without spending extortionate amounts of money. Overall it was an enjoyable experience learning lots of things along the way. In the end I put all the items I purchased back on eBay and made a small profit, so not so expensive just time consuming. I hope my experience prompts you into protecting your old video memories sooner rather than later. A VHS to DVD Recorder is the fastest way to convert analogue video to digital and it does this in real time to a “lossy” file type called MPEG-2 encapsulted in a VOB container. It is by far the fastest way to digitise analog video. A DVD recorder has built-in TBC handling, video processing filters, no frame dropping problems, perfect audio syncronisation and it is less sensitive to the vagary of magnetic tape. 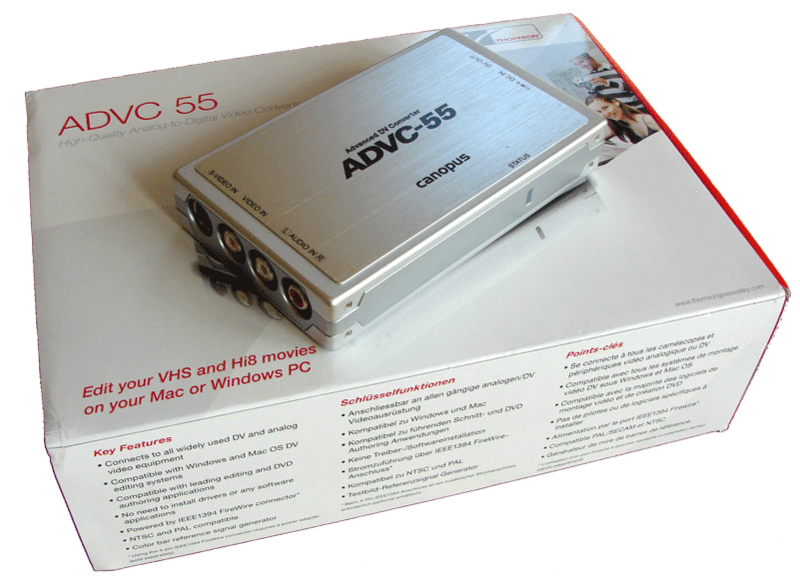 The PC method using a converter box, such as the Canopus, generally captures analog video as a high-quality DV file (using an AVI file container). The DV video file then needs to be encoded to MPEG-2 video, which is the file type that resides on a DVD disc. This takes more time than a DVD recorder process. But, transferring video to computer files enables extensive video editing to be carried out prior to MPEG-2 encoding. Also a good encoder can provide beautiful DVD video. When a video stream is captured by a computer it is stored in a container file, which in this case is a AVI file. Audio is also stored within this AVI container file. There are other container files such as WMV, MOV, etc. 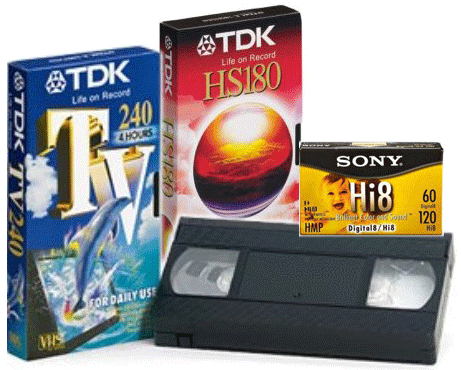 Whichever of of these containers is used, the video itself is not re-encoded and represents a complete digital copy of what has been recorded onto tape. If needed, the video can be recorded back to tape to obtain full and lossless copy of the original footage; or it can stored on a hard drive. This file is basically your exact copy of what was on the VHS tape, and is invaluable. VOB/MPEG-2: If you read a video DVD with Windows File Explorer you will see VOB files. 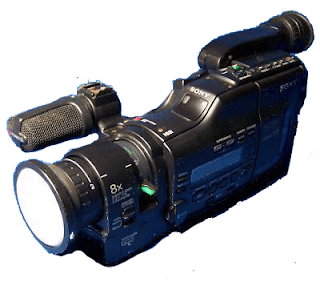 Basically a VOB file is just a basic MPEG-2 system stream – meaning that it is a file that contains multiplexed MPEG-2 video streams, audio streams, subtitle streams and Disc Menu’s. An MPEG-2 encoder will take your 1 hour (12Gb) of uncompressed (high quality) video and convert it for burning on to a 4.7Gb DVD (now compressed and not such high quality). – Keep your tape in its box when not being used. – Store the tape, facing upright, in a cool, dry, dark place. – Be careful when handling a tape. Don’t drop it or touch the film part of the tape. – Always rewind your tape before storing it. – Always store your tapes away from direct sunlight and heat. – Keep your VHS tapes away from speakers and Magnets. – Never leave the tape in the VCR when you’re not watching it. The aim of this post is to pass on my experiences of converting old analogue video tapes to digital media for archiving and sharing. And to encourage you to convert yours before it’s too late. As genealogists we pay a lot of attention to archiving, copying and repairing old material such as photographs, certificates and other old family documents. I think what we tend to miss is the more recent material that is decaying, perhaps quicker than we realise! Video tape is a prime example – It is now thought by many experts that magnetic tape has a lifespan of 10-20 years. My oldest VHS tape is from 1983 – That’s 28 years old! And my oldest Hi8 tape from 1992, that’s 19 years old. Time to start worrying. If video tapes are not stored correctly then their lifespan can be considerably less than 10 years. The lifespan for the common magnetic tape formats such as VHS and Hi8, as used by video camera’s and camcorders of the 80’s and 90’s, is a cause for concern. Personally I have many video tapes of both types containing valuable family archive material – we are talking here of grandparents, parents, children, etc., some who may not now be with us! Video gives far more to the family archive than photographs, as here we have relatives that are moving, talking, laughing, playing, singing, and so on. This material must be preserved – URGENTLY. Apparently VHS tapes will wear out a little every time they are played. If tapes are not stored and handled correctly they will also degrade. The magnetic particles that make up video tape will change their properties and become unstable over time. These particles will be affected by humidity, temperature swings, pollution, sunlight, and even other magnetic fields such as those from loud speakers. The tape itself should never be touched and dust particles need to be excluded from the storage box/area. There are lots of stories on the video forums of people trying to recover video from old tapes that have failed for one reason or another, I did not want to be one of them, so I recently set about archiving my family video footage. Before we go off converting all our tapes to DVD lets first consider the lifespan of DVD discs – Manufacturers claim minimum lifetimes of 50 years for DVD-R’s and 25 years for DVD-RW’s. However this lifespan refers to top quality discs and the assumption that they are in turn stored correctly. This was my first dilemma – how store my new digital video’s without ‘breaking the bank’. I will cover this in part 2. So what did I do? First I need to find the tapes, they were in the attic where they had been (degrading) for the past 8-10 years! I also found my old Panasonic VHS Player and Sony Hi8 Camcorder in the attic, neither of which had been used since moving house 6 years previously. Wanting to see video’s from long ago and make sure that they were ok I eagerly plugged the VHS player in to the 42″ TV and switched it on, inserted a VHS tape from 1983 and ……..nothing!! The VHS deck refused to work; apparently I had been storing it in the wrong conditions! After investigating I found that most of the drive bands had deteriorated (stretched). The thing was useless, so I quickly ejected the tape and put the Panasonic in the bin. Not to be deterred I next plugged the Sony Camcorder into the TV, inserted a Hi8 tape from 1992 and ………..lots of whining and groaning so I quickly ejected the tape. Guess what? Yes I had the same problem with the Camcorder as I had with the VHS player. Both now in the bin! This was a mistake as I could have sold both for spares on eBay. My next move was to buy a working VHS player on eBay – For £24 I picked up a Sony SLV-SE830; a very nice VHS player. As soon as it arrived I tested that it with an old movie tape, it worked a treat. I now inserted my 1983 tape again and …………..more problems, lots of moving interference lines and picture judder. At this point I was begging to think that my tapes had deteriorated somewhat. Rather than resort to professional help I started to look for help on the many Video Forums. It transpires that there are VHS players and VHS players!! Different brands of VCR’s handle tapes differently, black and white levels vary widely, and frame dropping can be a big problem. Also unknown to me I found out that video tapes actually contain far more quality data than the average home VCR can read, how many people know that? For best results playing back VHS tapes you need a professional deck (but they are very expensive)! I noted that my problem had been experienced by many other people on the forums, I discovered what I needed was a VHS player with TBC (Time Base Correction). Time base correction is a technique to reduce or eliminate errors caused by mechanical instability present in analogue recordings on mechanical media. 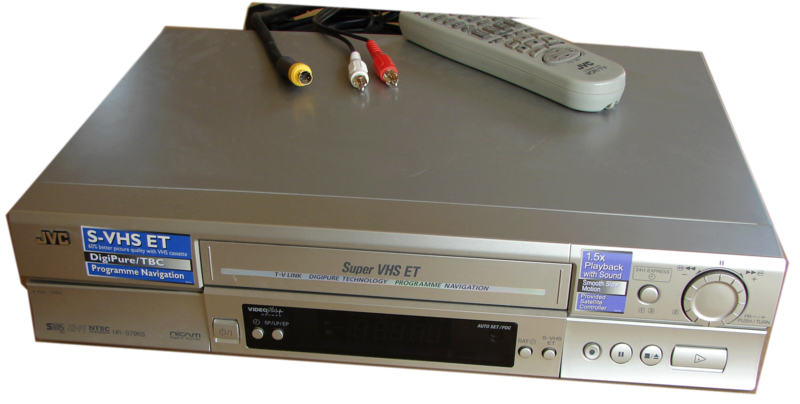 S-VHS (Super VHS) VCRs are generally the best at this task. I connected up the new VCR, used its default setup and inserted my 1983 tape – what a difference! A super picture and no interference (remember to switch your 42” wide screen TV to 4:3 mode). Things were now starting to look better, so the next step is to get the video from magnetic tape and on to my desktop computer. I will cover this in part 2.